Baseboard constructed and Kato Unitrack placed in proposed position. Approx 48 x 12". 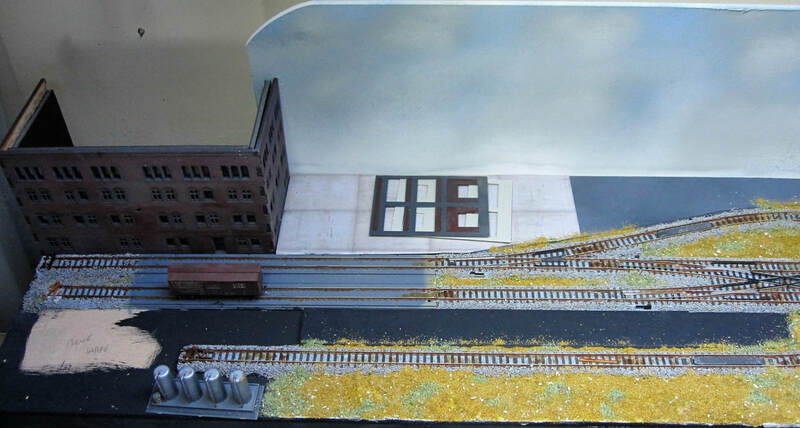 This tiny 4' x 1' N Scale layout represents a Class 111 railroad configuration somewhere in the USA. It serves a handful of locations with stock acquired cheaply from a variety of National Class 1 Railroad companies. Trackwork & electrics is, perhaps unusually, all Kato Unitrack with DCC operated MRC sound chipped stock. America’s Class 111 railroads serve as the primary feeder system for the national rail network and pick-up and / or deliver one out of every four rail wagons moving in the USA. Employing some 20,000 people they serve over 13,000 facilities and haul over 14 million wagon loads per year. These “local railroads” have restored connections to innumerable local communities. They are gaining strength by providing a customized first mile, last mile, service that the larger “hook and haul” Class I’s have moved away from to focus on their own Transcontinental product. What Short Lines lack in size they more than make up for in the service they provide their customers. They often live or die by the sometimes few precious wagon loads they are able to haul each year and cannot afford to give up a customer or two to improve their bottom-line numbers. Many are only kept in operation because of their single customer. Should that customer leave, then the railroad will either close down or enter a dormant state whilst waiting for a new customer(s) to contract. Abandoned in 1992, the shortest recognised commercial Short Line railroad was thought to be the Pioneer & Fayette in Ohio measuring one half mile in length. The company owned one locomotive, a secondhand Plymouth 25 tonner. Baseboard level raised 5mm to track height using foamboard. Basic scatter added. LR building for scale only. Low relief MDF building created to hide point switches etc. Building in the sky ! 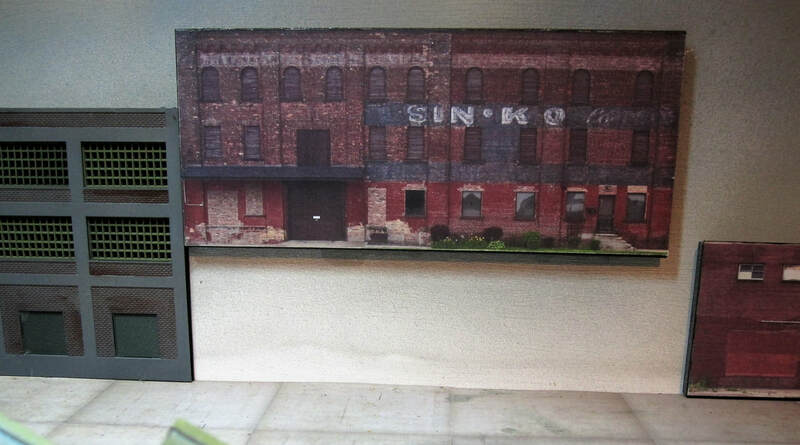 This to provide a higher background image (its a photo) than the to be fitted low relief building. New shopping complex; layout front RHS.